The new Dacia Logan and Sandero made their debut at the Paris show alongside the latter’s sportier sister, the Sandero Stepway. 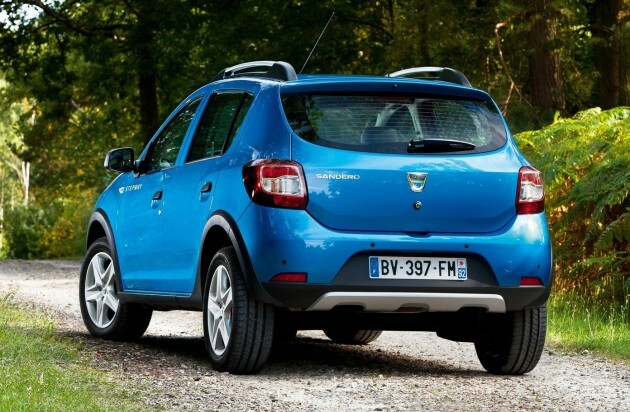 The Stepway is basically the Sandero five-door hatch with raised suspension and more macho 4X4 looks. It’s a very important variant, accounting for half of total sales of the previous generation. The Renault-owned Romanian brand says that the styling of new Stepway is more harmonious and “all-terrain” than ever. Special body features include front and rear skid plates, fog lamps, two-tone bumper, pronounced wheel arches, 16-inch “Flexwheels” rims, two-tone longitudinal roof bars, and exclusive Azurite blue paint. This is on top of the more modern and upmarket look of the Mk2 Logan range. Topping off the Stepway’s 4X4 image is raised ground clearance, a substantial 40 mm higher than the Sandero in Western Europe and 26 mm higher in countries with raised suspension systems such as Romania. Two Euro 5 engines are available, the TCe 90 and dCi 90. The TCe is is a three-cylinder 898 cc petrol unit with an ultra-low-inertia turbocharger plus VVT. The small engine makes 90 hp and 135 Nm, and 90% of the latter is available from just 1,650 rpm. 19.2 km/l and CO2 emissions of 120 g/km are highlights. On the diesel front, the 1.5 dCi is available here in 90 hp/220 Nm form, and the eco figures are even more impressive at 26.3 km/l and 99 g/km, a decrease of five grams. This engine carries the Dacia eco2 signature. The kit list includes Dacia Plug&Radio (Bluetooth, USB, AUX, steering buttons), Media Nav with seven-inch touch screen, cruise control and rear parking sensors, things that are alien to this budget range’s early customers. 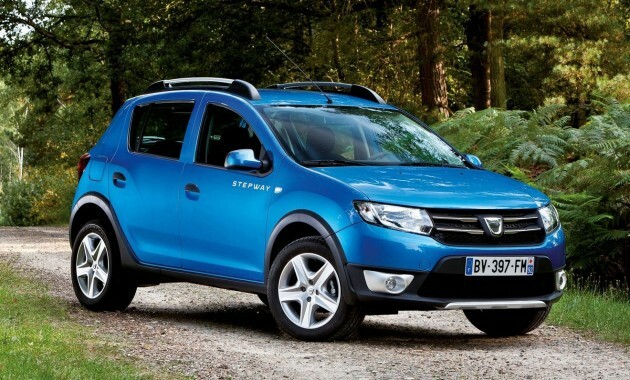 Dacia also sells the Lodgy MPV and Duster 4X4. The new Logan, Sandero and Sandero Stepway will be produced at the Pitesti plant in Romania and the SOMACA plant in Morocco for the North African region. Gallery after the jump. hahaha … dacia is famous, thanks to james may. James May is hopping around like a kid receiving his Xmas present early!